If you’re looking for a light gray that doesn’t lean either warm or cold, then Paper White by Benjamin Moore may be the perfect gray color for whatever room in your house that you need to paint! Grays are tricky, I’ll admit. They can have pink, yellow, purple, blue, beige and even green undertones. Trying to find that perfect dove gray that doesn’t lean either cold or warm can be tricky. But I may just have discovered that elusive light neutral gray and it’s name is Paper White. In the can – and upon first application – you may be fooled into thinking that this is indeed white paint. But once it dries, and especially when it’s paired with crisp white trim, you will in fact see that it is the most beautiful, soft, almost creamy shade of dove gray. Looking For More Light Gray Paint Colors? I’ve now used it in two rooms in my house – my guest bathroom and more recently in my master bedroom and it looks equally stunning in both. Oftentimes, colors leaning more towards white can leave a space feeling cold but even in my north facing rooms, there is not a trace of cold emanating from this paint color. Instead, it feels warm (without really looking warm) and just gives a lovely soft effect. I think Paper White shines brightest when everything else is kept simple. 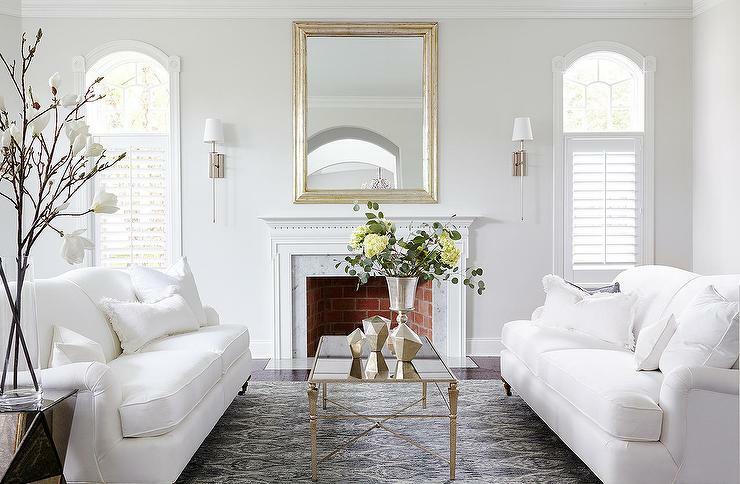 In both the above and below photos, the surrounding colors are calm and neutral, resulting in a bright and airy space. Sometimes pairing grays with wood can result in undesirable undertones, but not with Paper White. Pay close attention to where the vanity below meets the paint. No purple, yellow or any other funky undertone in sight! The off-white curtains and bedlinens in the bedroom below show how pairing this paint color with something warmer really brings out the “creaminess” of the paint. Beautiful traditional kid’s bedroom with Benjamin Moore Paper White walls via Nicole Lee Interiors. In the living room below, you can see on the left where it’s getting a lot of bright light that the wall almost looks white. In the shadows, the gray is more obvious. That’s why I particularly love this color in north facing rooms that don’t get a ton of light. If you have a very bright room and want a solid gray, then Paper White might verge on being too close to white (and a little washed out) for your needs. 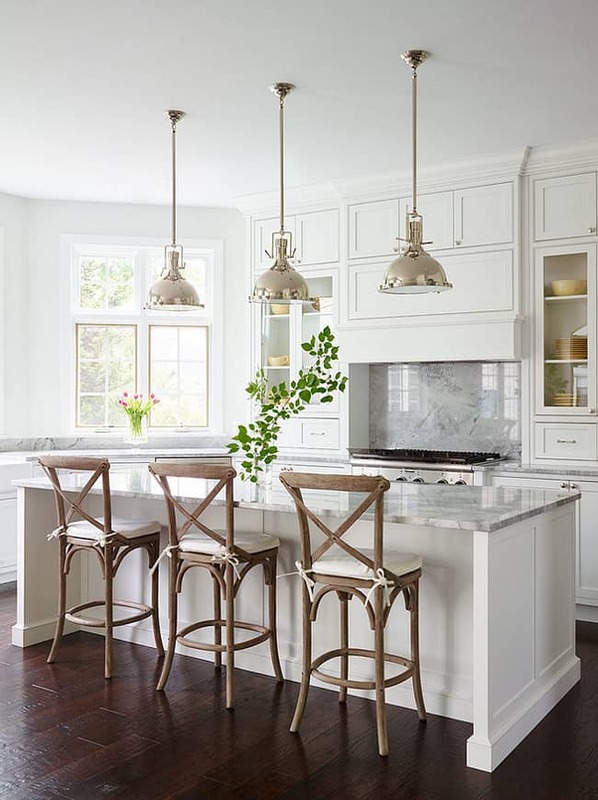 Finally, you can see how well Paper White works in this stunning kitchen. 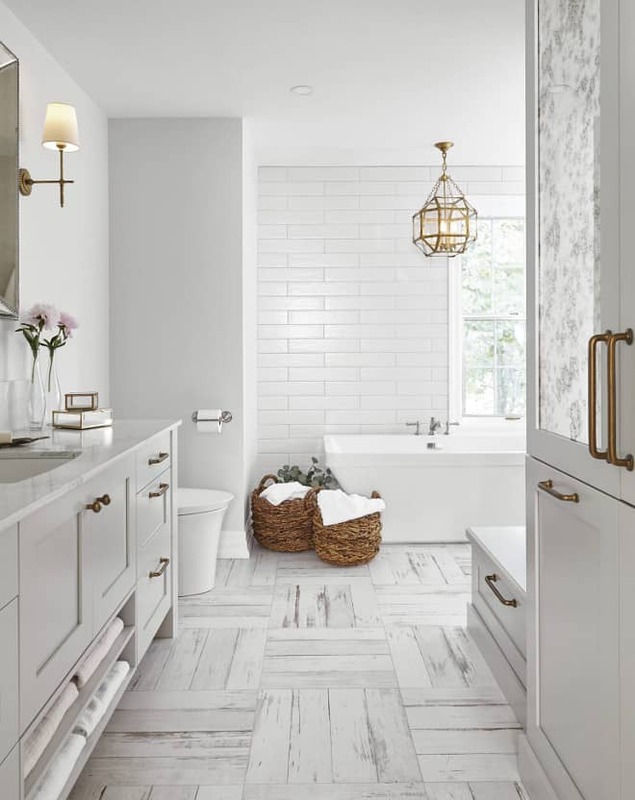 Paired with lots of white and warmer wood tones, it stops the face from feeling cold while still maintaining that modern, bright white effect. If you’re looking to paint a room in your house and a light gray color is one of the options, then I think you will really like Paper Gray! Don’t forget to pin this post by clicking the button below! What color trim do you think works best with the Paper White? We typically use White Dove for our trim, and wonder how the Paper White will look paired with it? We have used both BM Decorator’s White, regular off-the-shelf white trim paint as well as SW Extra White and love all of them. hi can you tell me what color quartz or the name of the quartz I should say on the countertop? Hi Shawn – the countertop pictured in this blog post is not from my home. Please see the source listed underneath the photo. Thanks. This post is old but I am looking for your opinion! We are redoing our master bathroom, and we purchased a beautiful double vanity from pottery barn. we received the vanity and although it is beautiful, it is appearing to be a lot more yellow in person vs how white it looked online. I have to think our paint colors have something to do with it. Throughout our house we have used chantilly lace for the trim and neutral colors on the walls. I was planning to do chantilly lace and paper white in the master bath but now I am not sure with the vanity. Whatever colors I go with, I want to pull out the white and no YELLOW/warm undertones! The vanity has a marble counter top and the bath and shower tile is pretty bright white, So i am not sure how the vanity will blend. 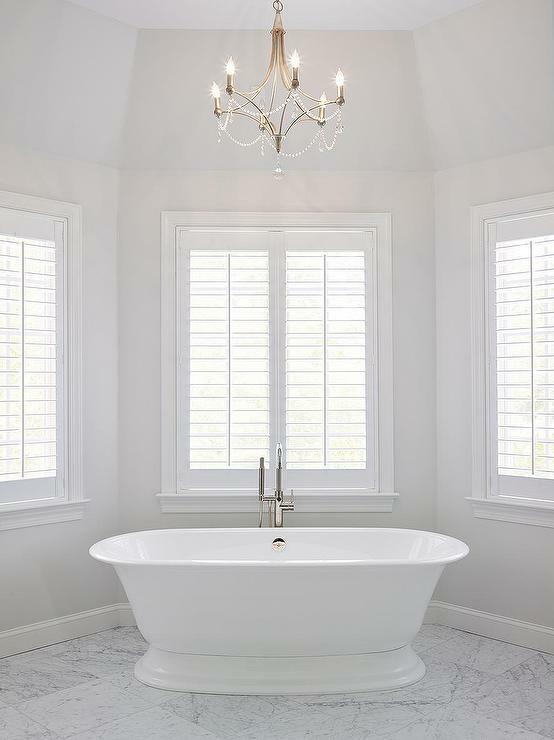 Do you think paper white would work, since it doesnt lean too warm or cold and what would you recommend for a white trim that would be a good balance between the vanity and shower tiles. Our floors will also be a light gray, as I wanted the white (now yellow) vanity to pop! Beautiful! Light, warm, airy and so soft. I was considering Repose Gray by SW, but then i found you! I do love Repose Gray, but wanted something even lighter, and softer. This is it! I’m right in the middle of painting my kitchen cabinets a white (Cotton Balls) by benjamin moore, in a north east facing room, and need to decide on a wall color. Gray was never my first choice. But the lightness and softness of this Paper White is dreamy, especially paired with white kitchen cabinets Oh the excitement. And the relief! To finally settle on my wall color. I cannot wait to get started on the walls. Thank you!